Sophie Germain – French mathematician, physicist, and philosopher. 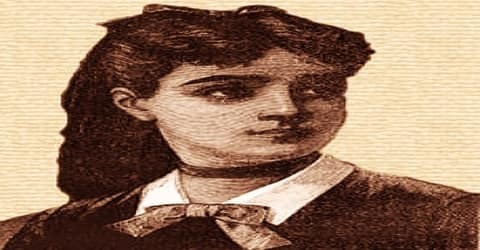 A French mathematician who contributed notably to the study of acoustics, elasticity, and the theory of numbers, Sophie Germain was born on April 1, 1776, in Paris, France, in a house on Rue Saint-Denis. Despite initial opposition from her parents and difficulties presented by society, she gained education from books in her father’s library including ones by Leonhard Euler and from correspondence with famous mathematicians such as Lagrange, Legendre, and Gauss. Germain could not go to school due to the break out of the French Revolution when she was a child but she did not let that deter her from learning and she taught herself fundamentals of mathematics with the help of books stocked in her father’s library. Sophie Germain worked on number theory and elasticity for years; she also worked on the proof of Fermat’s Last Theorem for years before she was finally able to prove it towards the end of her career. She found it tough to get acceptance as a woman in a field that was then dominated by men and in fact the participation of women wasn’t encouraged; however, that did not stop her from pursuing her goals. Sophie Germain corresponded with some of the leading mathematicians of the time using a pseudonym and got on with her work that goes to show the sort of odds she had to fight against in order to have a career as an independent mathematician. Before her death, Gauss had recommended that Germain is awarded an honorary degree, but that never occurred. On June 27, 1831, she died from breast cancer. At the centenary of her life, a street and a girls’ school were named after her. The Academy of Sciences established the Sophie Germain Prize in her honor. 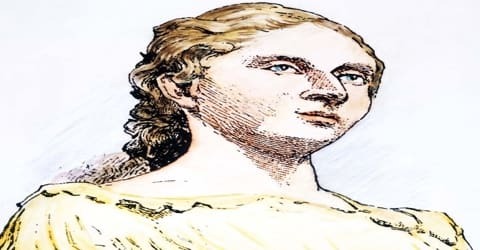 Sophie Germain, in full Marie-Sophie Germain (French: maʁi sɔfi ʒɛʁmɛ̃), was born in Paris, France on 1st April 1776 to Ambrose-Francois Germain and Marie-Madeline Germain. There is some dispute regarding the exact occupation of her father but according to most accounts, he was either a prosperous merchant who dealt in silks or a goldsmith. She had one younger sister, named Angélique-Ambroise, and one older sister, named Marie-Madeline. Her mother was also named Marie-Madeline, and this plethora of “Maries” may have been the reason she went by Sophie. Germain’s nephew Armand-Jacques Lherbette, Marie-Madeline’s son, published some of Germain’s work after she died. When Germain was 13, the Bastille fell, and the revolutionary atmosphere of the city forced her to stay inside. For entertainment, she turned to her father’s library. Here she found J. E. Montucla’s L’Histoire des Mathématiques, and his story of the death of Archimedes intrigued her. In 1794, Germain decided to take advantage of the mathematics curriculum at the newly opened Ecole Polytechnique. Although as per rules women were barred from Polytechnique , she was allowed to get hold of the lectures. Joseph-Louis Legrange, a mathematician at the institute became her mentor. She used a male pseudonym M. LeBlanc in her correspondence so that people could not figure out that she was a woman. Marie-Sophie Germain remained unmarried all her life and was not known to have had any romantic relationship either. In 1798, Sophie Germain first became interested in number theory, when the mathematician Adrien-Marie Legendre published Essai sur la théorie des nombres. After studying the work, she opened a correspondence with him on number theory, and later, elasticity. Legendre showed some of Germain’s work in the Supplément to his second edition of the Théorie des Nombres, where he calls it très ingénieuse. After reading Carl Friedrich Gauss’ book ‘Disquisitiones Arithmeticae’, Sophie Germain wrote to the author in 1804 regarding her own ideas in relation to Fermat’s Last Theorem. According to many, Germain’s theories did not have solid proofs and she never got a response from Gauss regarding this subject. The French Academy of Sciences conducted a mathematics competition in which the contestants had to produce a mathematical explanation in relation to the experiments carried out by the scientist Ernst F.F. Chladini on vibrating plates. Around 1807 (sources differ), during the Napoleonic wars, the French were occupying the German town of Braunschweig, where Gauss lived. Germain, concerned that he might suffer the fate of Archimedes, wrote to General Pernety, a family friend, requesting that he ensure Gauss’ safety. General Pernety sent chief of a battalion to meet with Gauss personally to see that he was safe. As it turned out, Gauss was fine, but he was confused by the mention of Sophie’s name. Later, in 1815, her interest was reawakened after a prize was offered for a proof of Fermat’s Last Theorem. She wrote a letter to Carl Friedrich Gauss. In this letter, she stated that number theory was her preferred field. She outlined a strategy for a general proof of Fermat’s Last Theorem. This letter contained the first substantial progress toward proof in 200 years. However, Gauss never answered this letter. Sophie Germain continued to strive for the mathematics prize offered by the French Academy of Sciences and after repeatedly failing to impress the judges; she finally won the prize in 1816 on her paper that dealt with vibrations on curved and planes surfaces. She was the first woman to be bestowed with that prize. Germain published her prize-winning essay at her own expense in 1821, mostly because she wanted to present her work in opposition to that of Poisson. In the essay, she pointed out some of the errors in her method. Throughout the latter part of her career, Sophie Germain worked on Fermat’s Last Theorem and in collaboration with Legendre she finally got it right in the year 1825. It was the greatest work of Germain’s career. She also studied a bit of philosophy as well as psychology later on in life. Meanwhile Germain had actively revived her interest in number theory and in 1819 wrote to Gauss outlining her strategy for a general solution to Fermat’s last theorem, which states that there is no solution for the equation xn + yn = zn if n is an integer greater than 2 and x, y, and z are nonzero integers. She proved the special case in which x, y, z, and n are all relatively prime (have no common divisor except for 1) and n is a prime smaller than 100, although she did not publish her work. Her result first appeared in 1825 in a supplement to the second edition of Legendre’s Théorie des nombres. She corresponded extensively with Legendre, and her method formed the basis for his proof of the theorem for the case n = 5. The theorem was proved for all cases by the English mathematician Andrew Wiles in 1995. In 1826 Sophie Germain submitted a revised version of her 1821 essay to the Academy. According to Andrea Del Centina, the revision included attempts to clarify her work by “introducing certain simplifying hypotheses.” This put the Academy in an awkward position, as they felt the paper to be “inadequate and trivial,” but they did not want to “treat her as a professional colleague, as they would any man, by simply rejecting the work.” So Augustin-Louis Cauchy, who had been appointed to review her work, recommended she publish it, and she followed his advice. Sophie Germain was diagnosed with breast cancer in the year 1829 but that did not deter her from continuing to work on her theories and two years after being diagnosed; her paper on the curvature of elastic surfaces was published in the scientific journal ‘Crelle’s Journal’. One further work of Germain’s on elasticity was published posthumously in 1831: her “Mémoire sur la courbure des surfaces.” She used the mean curvature in her research. 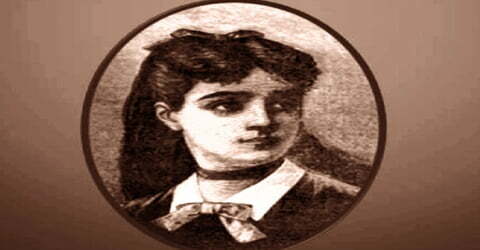 Apart from mathematics, Sophie Germain also studied philosophy and psychology. She wanted to classify some facts and generalize them into laws that could form a system of sociology and psychology. Two of her philosophical works, Pensées diverses, and Considérations générales sur l’état des sciences et des Lettres, aux différentes époques de leur culture, were published, both posthumously. This was due in part to the efforts of Lherbette, her nephew, who collected her philosophical writings and published them. Pensées is a history of science and mathematics with Sophie’s commentary. In Considérations, the work admired by Comte, Sophie argues that there are no differences between the sciences and the humanities. Sophie Germain lived in an era when women weren’t encouraged to take up scientific pursuits and hence even though she achieved a lot in her life as a mathematician; she was not awarded with any prize. However, Germain did go on to become the first woman to win the mathematics prize awarded by the French Academy of Prizes but that wasn’t an award but a prize she won as part of a competition. In 1829 Sophie Germain learned she had breast cancer. Despite the pain, she continued to work. She died on 27 June 1831 after suffering from breast cancer for two years. Germain’s resting place in the Père Lachaise Cemetery in Paris is marked by a gravestone. At the centennial celebration of her life, a street and a girls’ school were named after her, and a plaque was placed at the house where she died. The school houses a bust commissioned by the Paris City Council. 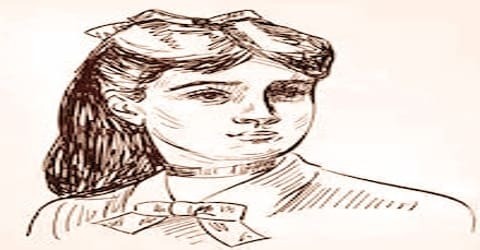 Sophie Germain was one of the most important mathematicians of her era. She did pioneering work in her field in number theory and her most important work was that of proving Fermat’s Last Theorem. In 1831, she published her paper on the curvature of elastic surfaces. She also published principles of examination that later led to the discovery of laws of equilibrium and the movement of elastic solids.